We’ve extended our hours for the holidays through the beginning of the New Year. Santa is here December 15! Come see Santa at the marketplace the first 3 Saturday’s in December from 12:30-3:30 pm. December 15 is his last visit so be sure to stop in for a picture with your family! We are a Toys for Tots drop-off location! You can support getting gifts to young children in need! Each gift is important. You can assist by dropping off your wrapped gifts before Saturday, December 15. The donation drop-off box is right inside the doors! Yes, we have coffee (Lonely Monk!) and Stroopies (and gift tins!) - The Stroopie Co. Yes, we have all natural dry soup mixes, candles, jam’s, bath & body lotions, and more! - Christina Maser Co. Yes, we have pickles (all natural, local ingredients) and salted caramel pretzel bites (pickle platters and gifts available)! - Lancaster Pickle Co.
There’s not too many places where you can come in for lunch, do holiday shopping, take time for coffee and a treat, grab fresh vegetables and other groceries, and walk out with dinner as well! Your one stop for all this is Lancaster Marketplace at 2084 Fruitville Pike. Coming Early 2019 - Expansion! Yes, the Lancaster Marketplace is expanding! We are opening walls in early January and nearly doubling our space! New standholders are coming in to bring more local food, gifts, and other products to you! The Lancaster Marketplace is full of special gems and offerings. 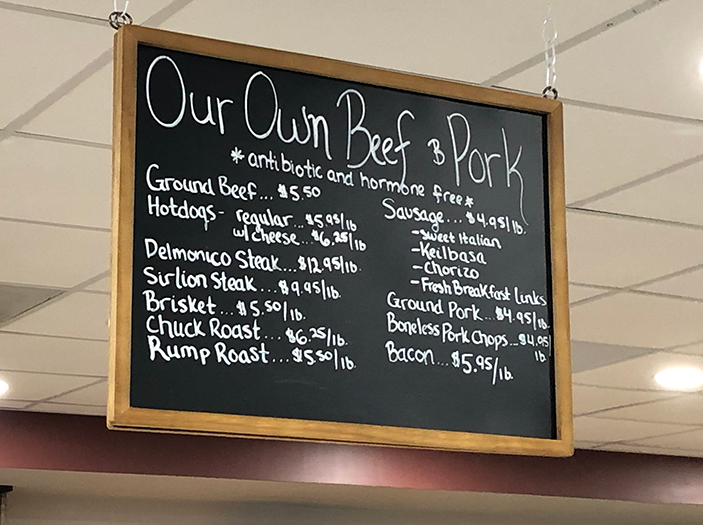 For example, did you know that Harvest Lane Farm Market offers fresh beef and pork! It is antibiotic and hormone free. You can get bacon, steak, brisket, sausage, ground beef and more! Our stands are full of surprises! So visit the Lancaster Marketplace this holiday season! Your one stop for so many things!